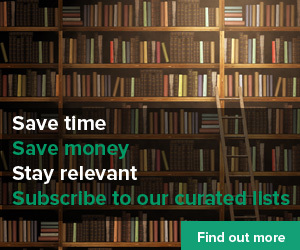 LearnPatch is launching a new service that provides curated lists for subscribers. The aim is for us to provide you with a personalised curator service to save you time searching out information and resources. For this beta programme we’d like you to tell us what curated resources you would like from us. We will then send them to you. We would also like to ask your feedback on the resources we curate and whether this service is something you would find useful in the future. What we will send you . . .
A curated list of resources on your chosen topic sent in a Word document. Each resource will be provided with a line or two of context to provide the reason to read it plus a reading time. The list will include 5 resources. We assess every piece of content to ensure it is relevant and accurate.